Today, in the spirit of Halloween, we bring you two different segments on the Minnie Quay ghost story and its historical roots. Plus, Kirk Steudle joins Stateside on his last day as director of the Michigan Department of Transportation to discuss what he's learned about the intersection of infrastructure and politics. Kirk Steudle, director of the Michigan Department of Transportation is retiring. He joined Stateside for an exit interveiw on his last day on the job to discuss what he has learned and what’s next for Michigan’s roads. Leading up to the election, we've been sending reporters and producers across the state to ask people two questions: What are the most important issues for you as a Michigan voter? What concerns you most about our political climate right now? Ron Caniff is the superintendent of Kent Intermediate School District. Next year, reponsibility for center-based special education for 20 districts across Kent County will move from the Grand Rapids Public School district to Kent ISD. What do our oldest citizens understand about technology that we don’t? Anthropologist and entrepreneur Veronica Kirin is the author of the new book Stories of Elders: What the Greatest Generation Knows about Technology that You Don’t. She discusses what we can learn from generations who lived the majority of their lives without modern technology. Kirin will be having book signing events on November 7 at Schuler Books in Grand Rapids at 7pm, and then November 8 at Schuler Books in Okemos at 7pm. Following shootings at a Pittsburg synagogue and a Kroger in Kentucky, as well as pipe bombs sent to high-ranking Democrats last week, Democratic U.S. Senator Gary Peters weighs in on our nation’s political climate. Jenifer Strauss is a narrative consultant from Traverse City. She tells us why ghost stories capture our imaginations and even tells the Minnie Quay ghost story from Michigan’s thumb. Rachel Clark from Michigan’s History Center joins us for a special Halloween-themed look into our state’s history. 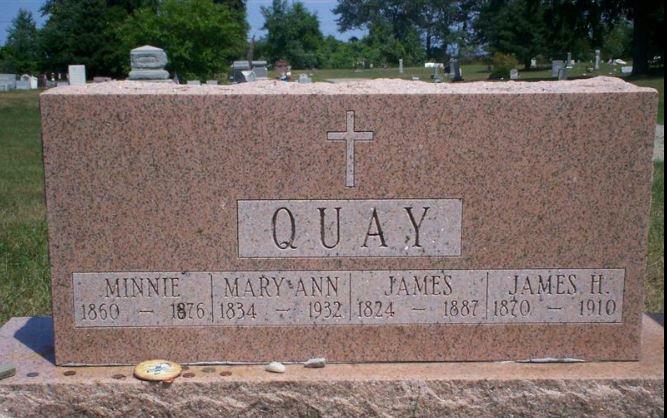 We dig into the facts on the real Minnie Quay, what we know about ther family, and why the story stands the test of time. The Trump administration has rolled out its plan to respond to violence and guns in our schools. It wants to provide firearms training to some teachers. But it has backed off on making major changes to gun legislation: For example, there’s nothing about raising the minimum age to buy guns from 18 to 21. U.S. Sen. Gary Peters will host a hearing Monday in Traverse City on oil spill and response efforts in the Great Lakes. The meeting will be centered around the controversial Line 5 pipeline in the straits of Mackinac. Peters says oil spill preparedness - at both the state and federal levels - is poor.